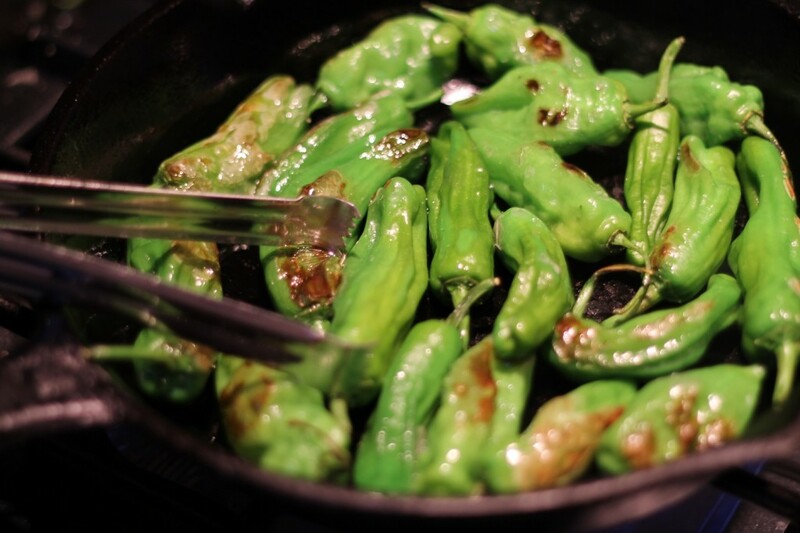 I had blistered and salted Shishito peppers for the first time a year or so ago at a bar that was serving them as a bar nibble. I’ve been wanting to grow them ever since. As usual was I traveling when it is seed starting time, and though I had the packet of seeds, I didn’t have a way to nurture them during my absence, so I was resigned to waiting until next year to have a go. Imagine my excitement when I spotted them as starts along with the ubiquitous bell peppers and jalapenos! I bought a couple plants, took them home and, fail. In my excitement I put them out too early and they succumbed to a late frost. So back I went and purchased two more. One of the frost damaged plants still showed weak signs of life so I moved it to another area, put it in the ground and forgot about it. They started bearing a few weeks ago, so this post is really the third time I’ve made them. Even the “runt” is producing bright green crispy fruits. A little about the pepper – it is a east-Asian variety that grow between 2 and 4 inches long, is thin walled and relatively mild. That is, most of them are mild. A few can be rather hot, but not unbearable. They blister and crack in no time and when finished with a flaky salt, such as Maldon, make an excellent summer appetizer. so that’s what I did! These come together so quickly they are perfect after a hard days work or when friends pop in. A nearly perfect nibble that even have a built in handle! 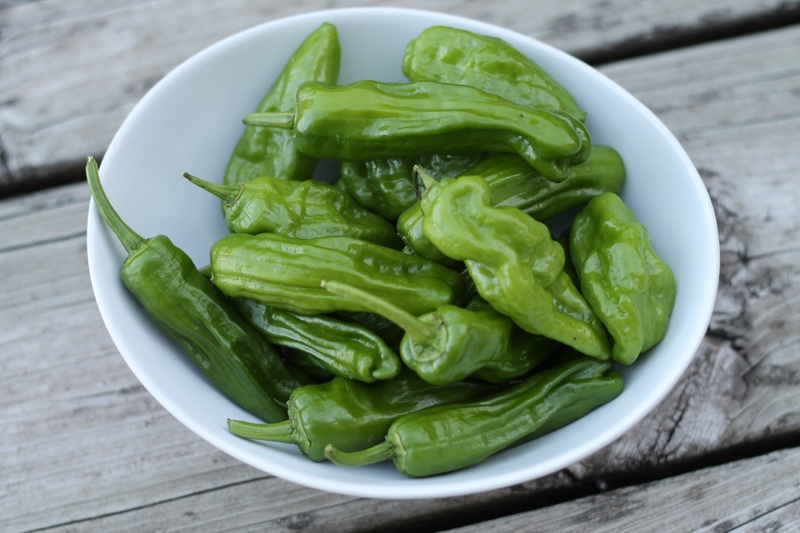 They must be a bit like Padron peppers then – especially in that the odd one or two are hot whilst most are mild. Are you growing any other chillis this year? 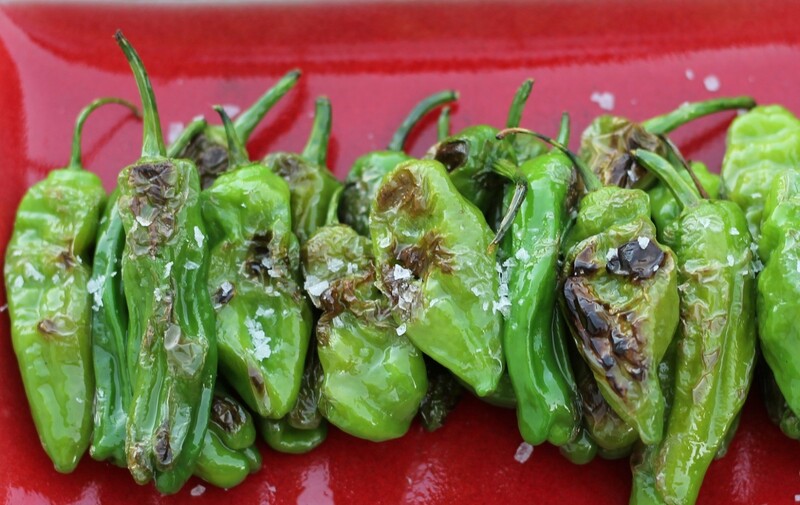 Quite similar to Padron Mark, both in heat aspect and preparation. I do have some sweet peppers – Giant Marconi and pimiento, as well as some banana peppers and some habanero. The sweet peppers are doing OK not great and it is too early for the habeneros.